With Super Smash Bros Ultimate set to bring back every single Smash Bros. character in history, we figured we’d take a look at each one to see what’s new. Most characters have only received minor tweaks, while some have seen major overhauls to their fighting style. In this Super Smash Bros Ultimate Captain Falcon Guide, we’re going to take a look at Captain Falcon, and see what’s changed since his last appearance. We’ll breakdown the Captain Falcon moveset, final smash, outfits, and more. Thanks to some awesome trailers and assets that came out of E3 2018, we now know a little bit more about Captain Falcon. Here’s his alternate outfits, changes and moves. We've detailed all of Captain Falcon's Special Moves in the table below. 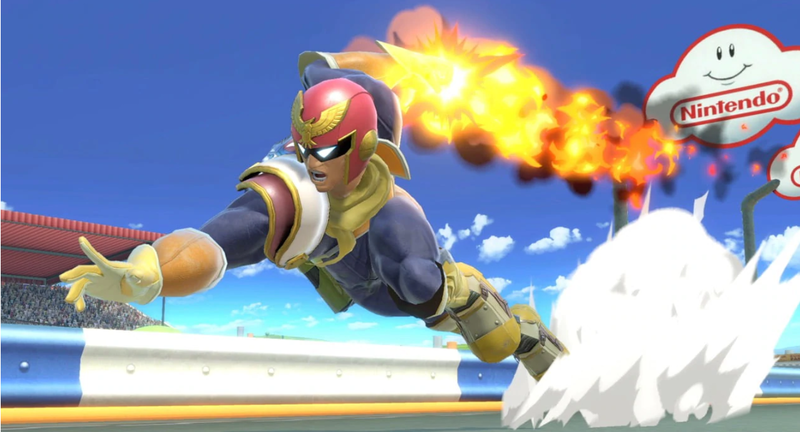 You'll find info on how to perform all of Captain Falcon's special moves and Final Smash. Captain Falcon has received a few minor changes since his last appearance in the Smash Bros. series. Nethertheless, small changes to moves can mean big changes in strategy for some players, so we’ve gathered everything that’s changed. 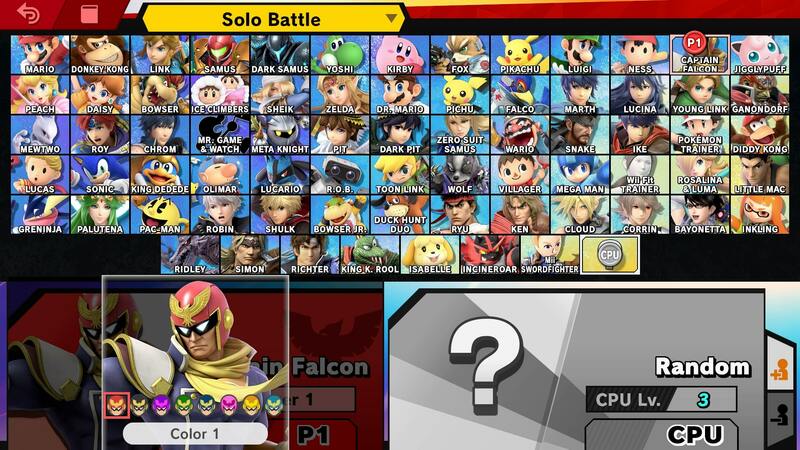 As with other characters, Captain Falcon has a handful of variant outfits to choose from. 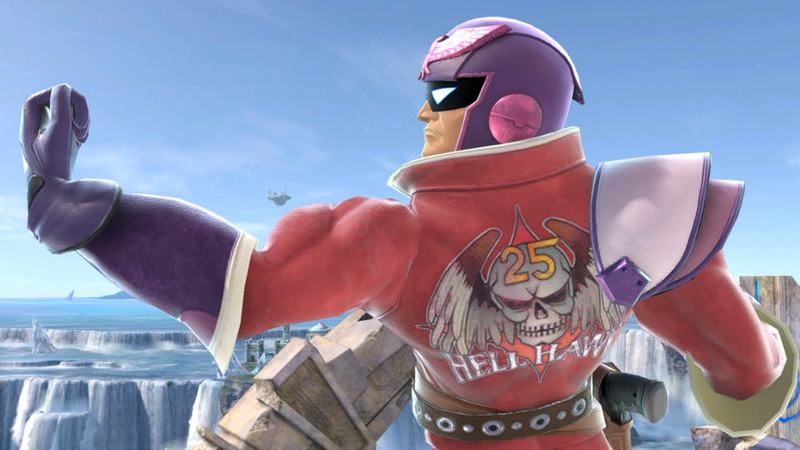 So far, we only know about one for sure, teh “Blood Falcon” Costume. You can check it out in the image embedded above. Many characters in Super Smash Bros Ultimate feature the same alternate costumes as in the previous game, so this might be a good indicator for what to expect this time around. There has been no word on whether or not Captain Falcon will have a new final smash in Super Smash Bros Ultimate. Previously, he has used the Blue Falcon Final Smash, calling upon his F-Zero Vehicle to take down enemies. We’ll update when we know more, but it is likely that Super Smash Bros Ultimate will feature the same Final smash as before. That’s everything we know about Captain Falcon in Super Smash Bros Ultimate. We’ll add more info as we learn more about the character. You can head over to our Super Smash Bros Ultimate guide hub in the meantime for more general details on the game, like what the Ridley amiibo looks like, what stages are in the game, and more.